Research has shown that the most effective way to prepare students for practice with real clients is for them to learn how to think in a new way, rather than simply learning and using a set of steps. While there is much to be learned from what master practitioners do in their sessions, there is even more knowledge to gain from learning how they think. 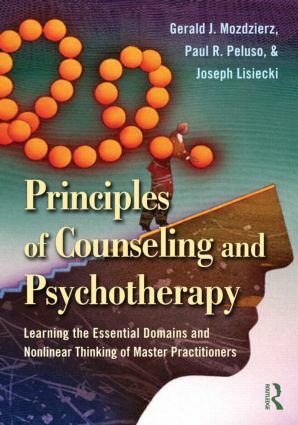 In this text, the authors present a unique approach to teaching and learning the fundamental skills and interventions used in counseling and psychotherapy based on a "nonlinear" process of thinking that more accurately reflects the realities of mental health practice. This "nonlinear" approach to therapy is based on authoritative research and a three-level model of counselor experience that has been extensively studied. Each domain is explored in great detail, and numerous clinical case examples help paint a picture of master practitioners in action. Engaging exercises also help readers to understand this new approach and begin to think in a nonlinear way. After reading this text, students and beginning counselors will be better equipped for practice in the real world, embarking on a new, nonlinear path to successful and meaningful practice.